Why Juice is beneficial for Health Care? Hippocrates Health Institute is the oldest continuously running natural healing center in the world. Since 1956 we have hosted tens of thousands of guests from all over the world for our signature service – the three weeks Life Transformation Program. A central part of this program includes drinking wheatgrass juice and another green drink at least twice a day. The green drink we serve is half vegetables and half sprouts, juiced (organic cucumber, celery, sunflower sprouts and pea shoot sprouts.) Wheatgrass juice is nature’s finest medicine and is like getting a fresh blood transfusion every time you drink it. Each green drink is very high in protein and is like eating a complete meal because of the sprouts. Very few people eat enough raw vegetables. Juicing provides a quick and convenient way to increase your consumption of these foods. Fresh-made juices are the most potent form of nutrition. 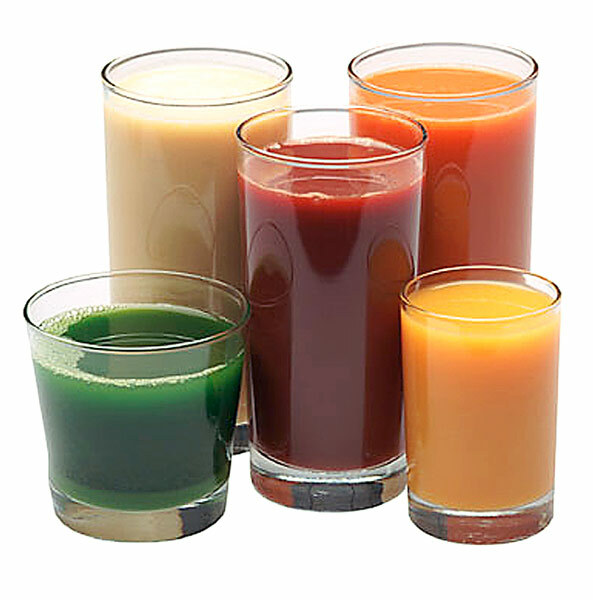 The nutritional essence of plants is best derived from their juice. Sunlight infuses all life; plants are the storehouses of nature’s captured and distributed sunlight. Drinking fresh juices makes it easy for your cells to quickly assimilate the high quality nutrients found in your food. It is like drinking liquid sunshine! When we juice vegetables, their goodness is released from the fiber and we are able to drink their highly concentrated nutrients. These nutrients are then able to enter our bloodstream very quickly and easily. Since juicing removes the indigestible fiber, nutrients are available to the body in much larger quantities than if the vegetable was eaten whole. For example, when you eat a raw carrot you are only able to assimilate about 2% of the total available beta carotene in the carrot. When a carrot is juiced nearly 100% of the beta carotene can be assimilated. This is because many of the nutrients trapped in the fiber are released in the juicing process. Every Wednesday at Hippocrates Health Institute is “liquid nourishment” da y where we fast from solid food. This supplies the body with concentrated nutrients while relieving you of the burden of digestion. This conserves your body’s vital energy which can then be redirected and used instead to boost the immune system. This means juice fasting is “anti-aging” and makes it a powerful tool for colds and flu’s. Because of high chlorophyll and low starch (and sugar) content, green juices are better compared to other vegetables (and fruit.) Green juices provide your blood and body with all the essential nutrients that you require while providing a powerful purifying effect. Fresh green juices provide us with minerals, vitamins, proteins, essential fatty acids, and much more. These nutrients are especially high in dark leafy greens and sprouts. Juices can flush toxins from your body, are good for your weight, heart, circulation and overall well-being. Juices contain no saturated fats or added sodium and can be helpful in lowering your cholesterol. However, you must drink fresh juices fresh – within fifteen minutes after it has been extracted to obtain all of its multifaceted nutritional benefits.